Editor’s Note: The following is a “forensic” review. We have not yet had the opportunity to test the product in our labs. As soon as we are able to conduct a hands-on evaluation of the product or learn new information about it, we will update this review. Learn more about our review process at Anatomy of a Review. 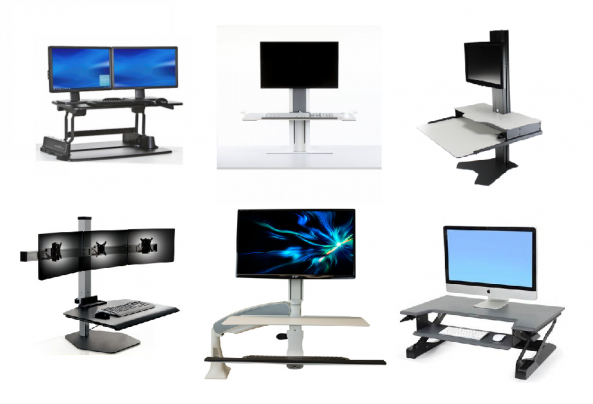 Corner standing desk converters are an increasingly popular sub-category of products designed to convert fixed-height L-desks into standing workstations. The iMovR ZipLift and Varidesk are both available in corner configurations, and more manufacturers are offering space-saving solutions for corner-conscious consumers. The Corner WorkFit is Ergotron’s horse in the race. Unlike Ergotron’s other WorkFit models, the Workfit Corner features an X-Lift design (as opposed to a Z-Lift design- see this article for more details). We’ve been pleased with Ergotron’s WorkFit converters in the past, but this is a whole new design, so be sure to read our full review when it’s published. 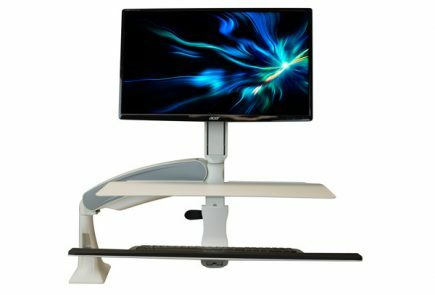 For updates on this product and more, subscribe to our newsletter, and see our comprehensive standing desk converter comparison review.